EARTHY-PINE FLAVOUR, STRONG CITRUS AROMA, OG-GRADE POWER! Ocean Grown or Old Gangsta? We'll never know for sure, but those urban myths and stories aren't in question today. 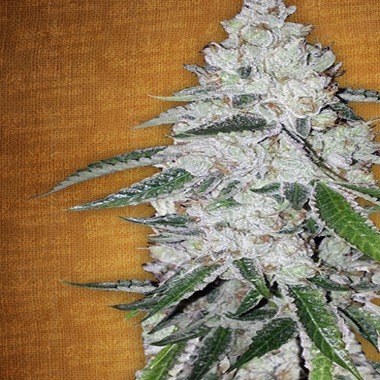 West Coast OG Auto Seeds are, without a doubt, certifiably OG & all that implies. The Indica-dominant power is extremely strong at a full 21% THC with hard-hitting, fast-acting, long-lasting mental highs followed by equally impressive physical stones. West Coat OG Automatic is the perfect balance of heady euphoric highs & narcotic physical stones - the ultimate combo for recreation or medication. Enjoy! Championship Genetics - A True Winner! From the very beginning, West Coast OG Auto Cannabis Seeds only need 8 to 9 weeks to do their thing - that's a savings of a month or more right there. Incredibly, this speed didn't result in any type of compromise. Yields still come in at up to 650 gr/m2 inside, the flavour & aroma are still intense & the dense, rocky buds are still coated with enough resin to make extraction a no-brainer. This is a high-performance automatic seed if we've ever seen one! The Gorilla loves himself some OG Kush, that's why he's put together an entire page featuring this superior, award-winning strain - including West Coast OG Auto. If you're ready to try them all, get to clicking. You can't beat the prices! Pineapple Chunk is the result of crossing Barneys Pineapple with Cheese/Skunk#1. Having combined the taste and characteristics of these plants has produced a stable and rigorous plant that is hardy and resistant to disease and mould. It is harvest time after just under 8 weeks of flowering, the taste and aroma is sweet yet earthy, one of a kind, delicious. Not only very high in THC and CBD it is a big yielder that will stick you to the couch like superglu.